BMWC DEADLINE: July 2nd 2018 5:00 pm EDT: Reminder that all boats must be registered by 5:00 pm EDT on July 2nd to be able to fish the 2018 Blue Marlin World Cup. TOURNAMENT APPROVED LINES: The first is a rule modification regarding the breaking strength of the tournament-approved lines allowed. The new rule now states that teams may use any line (monofilament, Dacron or braided line) with a manufacturer’s stated breaking strength of 100 pounds or less; also accepted is any line labeled as “IGFA-rated,” with a breaking strength of 130 pounds or less. BMWC follows IGFA rules for all line classes. Backing of ANY SIZE is permitted as long as the top shot does not exceed 130lb. test IGFA or 100lb manufacturers stated. 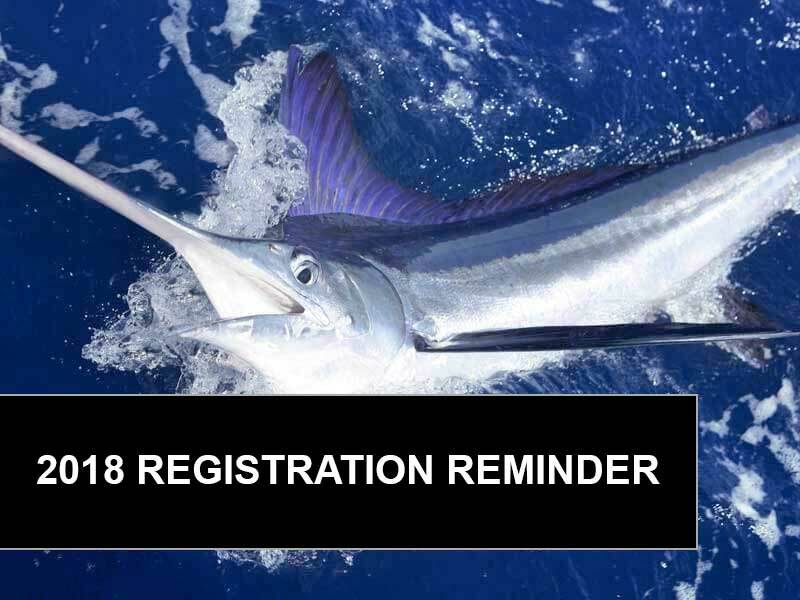 The tournament is on track to meet or exceed last year’s record jackpot payout of $1 million USD for the single largest blue marlin caught on July 4, 2018, in the worldwide tournament. Entries are on par with this time of year and additional teams will be coming aboard as we approach this much-anticipated event.